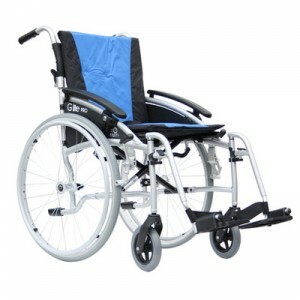 Excel G-Lite Pro Wheelchairs have a Lightweight aluminium frame with a ten year frame warranty. Excel Glite Wheelchair. The Excel G-Lite Pro Wheelchair Self Propelled is based on the very successful G Lite series. The G-lite Self Propelled Wheelchair still has the lightweight frame but is now available with 24″ self propel rear wheels. The Excel Glite Pro Self Propelled Wheelchair is the lightest wheelchair in its class, and is one of our best selling wheelchairs easy to manage and maintain also folds easily to fit in the boot of a car.